My 88-year-old father is undergoing open-heart surgery today, so I will take a short break from blogging. Tomorrow, I have a great guest blog lined up. Today, I’m bringing you a cool photo. 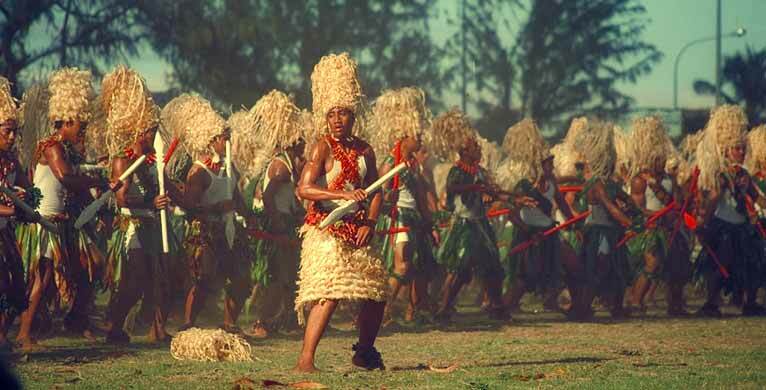 It shows Tonga College students performing a traditional Kailao, or war, dance. I can well believe that these muscular dancers are the descendants of the Lapita people who first paddled across the South Pacific and settled the Polynesian islands. This photo was taken by James Foster in 1988. Best wishes to your father for a successful surgery and complete recovery. Thanks very much. I’m very happy to say that the surgery went well.